With brands clamouring for attention, it takes something innovative to stand out. That’s what Burger King managed with its ‘OK Google’ stunt, devised by agency David. The 15-second ad, which was on YouTube before being aired on US TV, was designed to activate Google’s voice assistant speaker Google Home by asking “OK Google, what is the Whopper burger”. In response, the device replied with a list of Whopper ingredients taken from the product’s Wikipedia page, which had been edited with the ad in mind. This was not the first time content airing on TV had triggered a response from a smart speaker, but it is, as far as we know, the first time a brand has done it deliberately in an advert. And boy did it get people talking. There was widespread criticism of the ad on social media sparked by privacy concerns and debates about the invasiveness of a brand entering someone’s living room in this way. Google and Wikipedia were not impressed either. Google found a way to block Home from recognising the audio in the ad, while Wikipedia deleted the updates to the Whopper page and locked it to stop any further changes being made. This year has seen a growing number of brands get behind a cause or purpose. Heineken couldn’t resist doing something similar as part of its long-running ‘Open Your World’ platform. The ‘Worlds Apart’ ad wanted to challenge Brits to break down barriers and find common ground with others who have opposing views. The campaign video, created by Publicis, showed a real-life social experiment that put together two strangers divided by their beliefs. The pairings included a feminist with an anti-feminist, and a climate change activist with someone who thinks it is “piffle”. The aim of the video is to prove that even the most divided groups can come together to find common ground – all over a Heineken beer of course. Heineken’s UK head of marketing Cindy Tervoort claimed the campaign was put together over the course of nine months, following the insight that “empathy, openness and tolerance are under threat”. The campaign was met with mixed reviews. The Cannes crowd seemed to love it – the ad won bronze Lions in the ‘Brand Voice’ and ‘Strategic Storytelling’ categories, as well as a bronze in the ‘Business Citizenship/Corporate Responsibility’ category. Others disliked it. One writer in the Guardian even went as far as to say that brands such as Heineken “don’t care about social justice” and “exist solely to sell you crap you probably don’t need”. Marketing Week’s Mark Ritson, meanwhile, claimed the Dutch beer brand should forgo this floaty message and remember that marketing is about profit and not purpose. If you have seen TV’s Mad Men, you will remember the episode where fictional renegade agency man Don Draper unsuccessfully pitches a daring ad campaign for ketchup to Heinz executives in 1967. His idea? Not to show the product at all and instead show close-ups of foods without ketchup, such as French fries and burgers, with the slogan ‘Pass the Heinz’. Draper’s campaign was designed to create a mouth-watering effect among viewers. Unfortunately, Draper did not win the account. However, in real life ‘Pass the Heinz’ this year got the green light from the brand. In March, Heinz ran a local print and out-of-home campaign across New York City, where Mad Men was set, using the artwork from Draper’s failed pitch on the show. The meta-campaign quickly went viral, with Nicole Kulwicki, head of the Heinz brand, playfully promoting it in interviews. Ikea’s quick response to comparisons being made between its well-known blue shopping bag and a designer bag by luxury fashion brand Balenciaga should be a lesson for all marketers in how to nail reactive marketing. The two bags do bear an uncanny resemblance in colour, shape, size and style, even down to the double-loop detail on the handles. The price, however, is markedly different, with Ikea’s bag selling for a modest price of 99 cents (40p) while the designer version is an eye-watering £1,600. After much joking on Twitter about the likeness, the Swedish retailer initially responded with a brief statement saying it was “deeply flattered” by the resemblance. But seeing the overwhelming consumer response, it followed up with a playful ad to help consumers tell the difference between its blue Frakta bag and the designer ‘counterfeit’. The campaign was picked up by mainstream media across the world including Vogue, the Daily Mail and the Guardian, generating more than 165 million unique media impressions and over $6m of earned media. Not bad given it had zero media budget. Perhaps the most powerful example of a brand getting social purpose right in 2017 was Jigsaw’s ‘Love Immigration’ campaign. After racially-motivated hate crimes in the UK soared past 6,000 in June, according to the Home Office, the fashion brand was inspired to take a stand. Launching in October, the campaign by agency The Corner – which included a full takeover of Oxford Circus tube station in London and The Times website, as well as print, social and digital activity – aimed to show how Jigsaw sources materials from across the world while making the point that without diversity its products could not be made. Bold outdoor ads included a powerful state-of-the-nation address, with visible lines such as “Fear, isolation and intolerance will hold us back” and “We need beautiful minds from across the world”. In many ways, the campaign was the antithesis to Pepsi’s tone-deaf Kendall Jenner protest ad, which embarrassingly tried to tap into the energy of the Black Lives Matter movement. By instead relating the UK’s social backdrop to tangible and relevant aspects of the brand, Jigsaw avoided the same pitfalls as the soft drink giant. Jigsaw’s group head of marketing Alex Kelly told Marketing Week brands cannot just make a stand for the sake of it and have to be prepared to live out their socials values for the long term. And for marketers that could be considering taking a similarly bold political stand in 2018, he has advised: “The immigration campaign really fits into our core brand values as our founder John Robinson started the business by bringing an Afghan coat back to the UK in the 1970s – our brand is built on immigration. The Labour Party’s surprisingly good showing in the snap general election on 8 June, which caused the Conservative Party to lose its Parliamentary majority unexpectedly, has in large part been attributed to Labour’s ability to harness the youth vote. Young people surged to the polls in growing numbers in 2017, with 54% of 18- to 24-year-olds voting in the general election versus 43% in the 2015 vote, according to Ipsos Mori. Among young voters the swing to Labour was substantial. YouGov found that 66% of those aged 18 and 19 voted Labour, compared to only 19% who chose to vote Conservative. This pattern was reflected among 20- to 24-year-olds (62% Labour to 22% Conservative) and 25- to 29-year-olds (63% Labour to 23% Conservative). All age groups below 44 swung towards Labour, with the highest swing occurring among those aged 25 to 34, according to Ipsos Mori. Crucially, the Labour Party managed to appeal to younger voters both from inside and outside the establishment. The ‘For the Many, Not the Few’ campaign slogan harnessed the nature of a protest movement, while the manifesto contained policies that directly appealed to young people, such as ending zero-hours contracts and scrapping tuition fees. On social media, statistics show Labour’s ads were consistently shared more widely than their Conservative rivals. The party deliberately chose a positive tone, sharing practical advice on how to register to vote and where to find local polling stations. The official party effort was backed by pro-Jeremy Corbyn grassroots movement Momentum, which shared video content on social media rather than paying for advertising. Momentum estimates it reached 400,000 people through WhatsApp alone. Back in May, Marks & Spencer was keen to talk up the “radical” nature of its new ‘Spend It Well’ brand positioning. The first major work from new agency Grey London, the campaign aimed for something more aspirational than its previous advertising by bringing together its food and clothing iconography for the first time. The TV ad showed female characters of all ages, focusing on life-defining events such as experiencing music festivals and bad first jobs, while talking up the role M&S plays continuously throughout all life stages. “’Spend It Well’ is all about radically empowering our customers to say no to the ordinary, so they can say yes to the best,” said Patrick Bousquet-Chavanne, the retailer’s executive director of customer, marketing and M&S.com. He said the branding was inspired by internal research that showed people are increasingly looking to spend more money with brands that enable good life experiences. The creative may not have been radical – John Lewis famously followed the story of a woman from birth to old age in a 2010 ad – but for M&S, creating the first brand platform encompassing all of its business propositions was a decisive move at a time of crisis. Marks & Spencer’s UK like-for-like sales had tumbled by 3.6% in the previous quarter, with clothing and homewares performing worse than expected with a 5.9% drop. More recently, the signs point to M&S slowly turning things around. In the six months to 30 September, it said the division was showing “encouraging” signs, with like-for-like sales down by 0.7% – a much better performance – and total UK like-for-like sales down just 0.3%. In 2017, Nike needed a campaign that could make a big statement in its bid to compete against its fast-growing rival Adidas in the global sportswear sector. The German company continues to grow its share of the North American market, where it saw sales surge 31% in the three months to the end of March. Nike, by contrast, saw sales grow just 3% during the same period. Undoubtedly looking to harness the same level of buzz generated by Red Bull’s ‘Stratos’ stunt in 2014 – for which Austrian skydiver Felix Baumgartner performed a freefall from space – Nike sought to create a concept so audacious it would turn the launch of a new shoe into a must-watch event. Three Nike-sponsored athletes – Lelisa Desisa, Eliud Kipchoge and Zersenay Tadese – were challenged to run the first sub two-hour marathon wearing the brand’s new Zoom Vaporfly Elite racing shoe. Nike used the event, conceived by agency Wieden + Kennedy, to promote the Vaporfly’s performance benefits, explaining how the shoe’s ultra-lightweight foam could cut the amount of energy needed to run by 4%. Taking place at the Formula 1 racetrack in Monza, Italy on 6 May, #Breaking2 was live-streamed on social media. Nike hosted its own coverage fronted by American sports presenter Sal Masekela, which featured running influencers from around the world live-blogging behind the scenes. Nike also partnered with Airbnb to give 10 fans a chance to witness the record attempt in person by spending the weekend at a campsite adjacent to the racetrack. 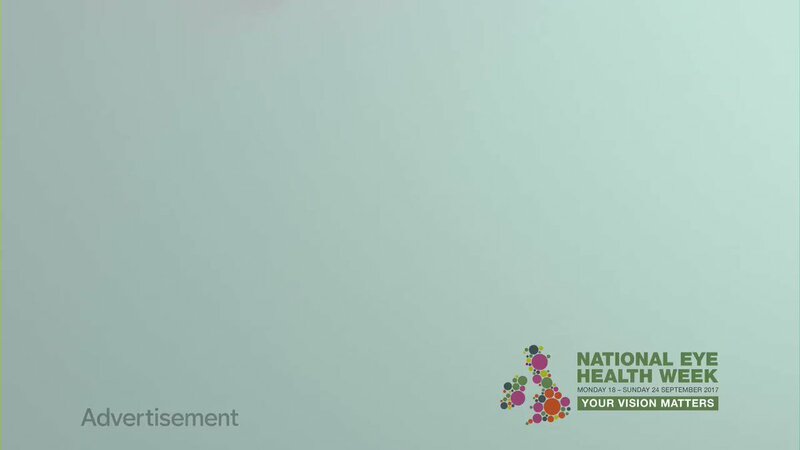 As part of National Eye Health Week, the Royal National Institute of Blind People (RNIB) worked with Channel 4 and a number of well-known advertisers to illustrate how certain eye conditions affect sight through the use of innovative visual filters. Partnering with brands including O2, Paco Rabanne, Amazon Echo, Freeview and Specsavers, the charity took over an entire ad break during Channel 4’s The Undateables. Through the use of the filters, familiar ads became obscured or disappeared as the symptoms of each condition presented themselves. Conditions highlighted include macular degeneration, which affects the central part of a person’s vision (illustrated by a gradually increasing black cloud in the middle of the screen) and glaucoma, a condition that damages the optic nerve (shown by a black filter creeping in from the edges until the whole screen has been obscured and the ad is no longer visible). The ad break was followed by a fully audio-described version 15 minutes later, which Sophie Castell, director at RNIB, believes “marks a cultural shift in advertising”. The campaign received an overwhelmingly positive response on social media via the hashtag #C4SightAdBreak, with people sharing praise for the charity’s efforts to raise awareness. It was described as a “very real way to spread awareness” by one Twitter user, with another calling it a “powerful insight into the world of people with visual disabilities”. It was also commended by those living with such conditions for helping them explain how their vision is affected. Women’s Day. The bronze sculpture depicts a Latina girl proudly facing the famous Charging Bull statue in the heart of New York’s financial district. Despite the bull’s size and supposed aggression, she has her head held up high and hands confidently on her hips. Sculpted by Kristen Visbal, the statue was commissioned by agency McCann New York for State Street Global Advisors (SSGA) to symbolise the power of women in leadership. It was also part of a campaign by SSGA to emphasise that companies with women in top positions perform better financially. radio. It was also praised by the jury for advocating gender equality. SSGA’s purpose-driven message was somewhat undermined when it agreed to pay out $5m, after US regulators found it paid white men more than women or minorities – a charge it still denies. Charging Bull sculptor Arturo Di Modica also complained the Fearless Girl turned his “positive, optimistic” message into a “threat”, thus violating his rights. Advertising aimed at the over-50s has tended to depict amorphous groups that fail to represent the many faces of those past the half-century mark. It hasn’t gone unnoticed. A recent study by Gransnet and Mumsnet revealed 85% of Britons aged 50 or over believe ads aimed at older people rely on stereotypes. More than three-quarters (79%) say their age group is patronised by advertisers. Financial services brands have been as guilty as anyone of reducing an entire group down to sledgehammer stereotypes. This year’s Sunlife campaign is therefore a refreshing change from the norm. Acting on a huge quantitative and qualitative research exercise with more than 50,000 respondents aged 50 and above, the result was ‘Welcome to life after 50’. The multichannel campaign challenged stereotypes by depicting the panoply of behaviour, attitudes and activities enjoyed by those past 50. Executions included people getting their first tattoo, scuba diving and becoming a personal trainer. The campaign scooped Marketing Week’s Masters of Marketing award for the financial services sector. The winning entry claimed brand consideration increased by 8% by the end of the campaign. Its quirky approach enjoyed reach most campaigns in its category could only dream of. On social media, ads were viewed 1.6 million times while coverage of the campaign reached over 23 million people. The rewards for brands who can look past stereotypes is undeniable. According to a report by Hitachi Capital UK and the Centre for Economic and Business Research, the over-50s overspent spent a huge £367bn in 2016, outspending younger consumers for the first time. American fast food chain Wendy’s showed that sometimes on social media it’s not about what you broadcast but how you respond. 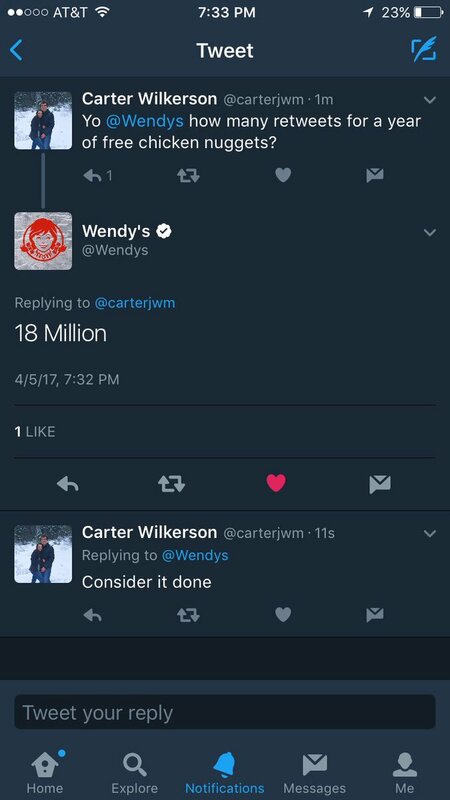 And earlier this year the brand garnered more attention than it could have ever dreamed of when a teenager, Carter Wilkerson, asked how many retweets he would need to earn a year of free chicken nuggets. It would have been easy to ignore the request, but instead Wendy’s challenged him to get 18 million retweets – nearly six times the then-record that was held by Ellen DeGeneres for her star-studded Oscars selfie. Unfazed, Wilkerson duly went about trying to do just that. News of the attempt spread like wildfire. Wendy’s took a relatively hands-off approach, but even so, within 24 hours Wilkerson had more than 1 million retweets and the record-breaking attempt was being mentioned by accounts from companies including Amazon, Google and United Airlines, as well as celebrities such as Breaking Bad actor Aaron Paul. Twitter did its part by verifying Wilkerson’s account and creating a custom emoji triggered by the #NuggsForCarter hashtag, which was used more than 234,000 times. In the end, Wilkerson didn’t make 18 million, but with more than 3.6 million retweets he did beat DeGeneres. According to Wendy’s agency of record VML, which runs Wendy’s Twitter account, there have been more than 5 million online mentions of Carter’s quest for nuggets, boosting conversations mentioning the brand by 376% year on year. More importantly for the brand, it generated more than 2.5 billion earned media impressions from 1,076 placements, including on top-tier publishers such as the New York Times, USA Today and the Today Show. Wendy’s also earned 213,000 new Twitter followers and 23.9 million visits to its Twitter profile in April alone. And in the end, despite not hitting 18 million retweets, Wilkerson got his nuggets.